We’ll be frank: Oregon is massive. So massive, in fact, that it would take you about nine hours by car to go from the eastern Wallowa Mountains to the Pacific coastline. Along the way, you’ll find everything from active volcanos that you can ski down to unparalleled natural landscapes -- plus enough craft beer, artisan wine, and decadent cuts of beef to keep you satisfied until spring. That’s a lot to explore, so we crafted a handy guide to each of the state’s seven regions to narrow down exactly how you should explore -- and what you can’t miss. 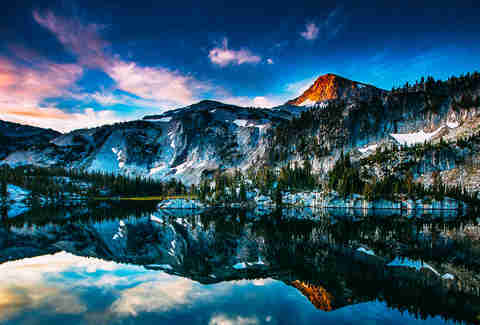 MUST DO: Exploring the Eagle Cap Wilderness in the Wallowa Mountains is as close to pioneering life as you’re getting in 2018, as this wide-open natural area boasts 535 miles of trailheads. And while some trails do shut down in the snowy winter, there are plenty of cozy cabins and chalets (and even huts!) where you’ll enjoy riding out a snowstorm. MUST EAT: Get breakfast at The Blonde Strawberry before you head out to explore in the morning, or hit up some local ranchers for cuts of beef from cattle raised right here. At 6 Ranch, they’ve been raising cattle since 1884, and raise grass-fed beef with an eye on restoring the natural ecosystem in the process. MUST DRINK: Craft brews from Terminal Gravity Brewing will pair perfectly with that 6 Ranch burger, and they offer live music and other events alongside their beers throughout the week. The Oregon Coastline is massive, stretching for 363 miles along the Pacific Ocean, and just because it’s winter doesn’t mean you should postpone a trip here until spring. In chillier months, these public beaches are perfect for whale watching, as well as getting cozy in a beachfront rental while a scenic storm rolls in. The temperatures here generally stay in the low 40s to 50s, so you can still hike through the nearby forests or even ride a horse along the sands. 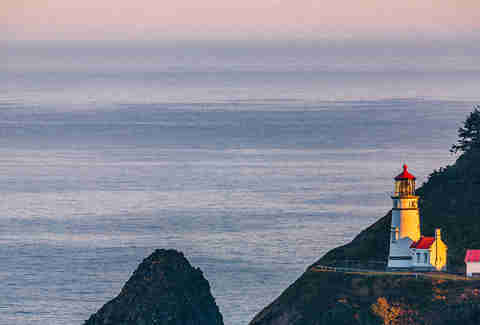 MUST DO: The Heceta Head Lighthouse in Florence is the stuff Instagram dreams are made of. This adorable lighthouse is nestled in a 200-foot bluff off the coast, and is situated high enough to enjoy a bird’s-eye view of Cape Cove and Devils Elbow, but don’t overlook the sea lions in the caves below. The historic structure doubles as a bed-and-breakfast, so you've got time to explore. MUST EAT: When you’re at the beach, seafood is always the right call -- and in winter months, local favorites Dungeness and rock crab come into season. Try the wildly popular crab cake at The Waterfront Depot, a beloved local spot with tapas and a long list of classic fresh seafood dishes. MUST DRINK: Rogue House of Spirit is about an hour out, but well worth the travel when you consider how much this place truly embodies the Oregon Coast. 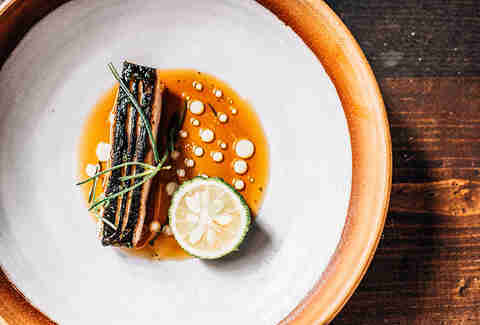 Located on Newport’s Historic Bayfront, Rogue was founded on the principle that you should “Feed The Fishermen,” meaning support the local community, and they’ll support you. They’ve embodied that idea since they started brewing beer in the ’80s, and have been making spirits on the Coast since ’06. 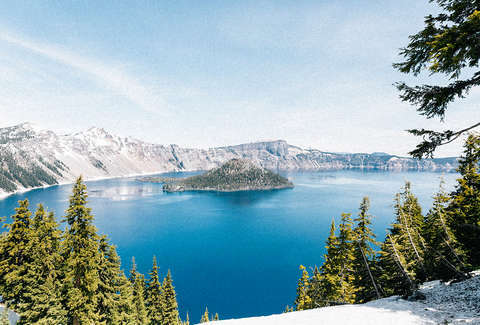 While it’s safe to say that you’ll find adventure in every corner of Oregon, smack dab in the center of the state is where the outdoor action awaits. This area sees 300 days of sunshine on average, making it a beautiful setting to ski down Mt. Bachelor, or bike through the area’s 300 miles of tracks -- which stay open year round. MUST DO: Steelhead Falls lies just 45 minutes outside Bend, and are accessible via a short trail that’s open even in the winter months, when the Deschutes River cuts an icy path through the canyon. MUST EAT: In Bend, Blacksmith Restaurant serves up a new take on ranch cuisine in a historic blacksmith shop -- featuring plenty of hyperlocal meats and cheeses. MUST DRINK: When you’re ready to catch your breath, you’ll find some of the best craft beer options in the state here. 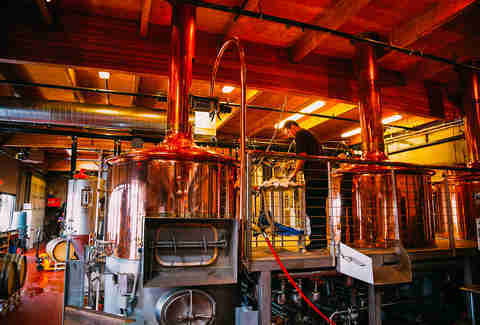 There’s a trail of breweries in Bend to follow -- featuring 16 local brew shops in the city limits alone, with shuttles and tours to make tasting offerings easy (and safe). MUST DO: If you can make it to the January or February dates of The Oregon Truffle Festival, you'll be luxuriating in a true Oregon signature ingredient that only grows in this part of the country. If you can't, the serene pleasure of hiking McDowell Creek Park is available year-round. The two-mile waterfalls trail is a perfect start to the day, with accessible trails for even first-time hikers to take in three different falls without exhaustion. How beautiful are they? 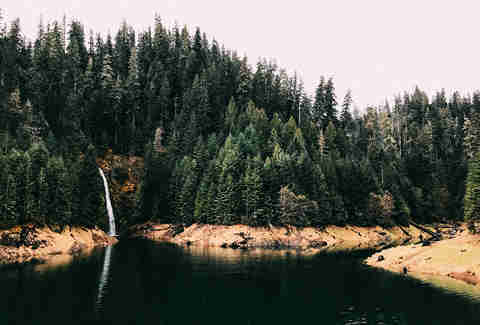 Well the falls' names start off Royal, and end up Majestic, if that gives you any idea. MUST EAT: Bao Bao House is in the center of downtown Eugene. A first of its kind in the city, Bao Bao House offers “modern, authentic Chinese cuisine” where bao buns are the star, plus noodle soups and dumplings. Also, this part of Oregon has one of the few climates outside Europe that’s perfect for truffles to grow, and they’re celebrated at local restaurants throughout winter here. MUST DRINK: While the center of Willamette Valley’s wine country is about a two-hour’s drive from Eugene in Newberg, there are options in town. King Estate has been producing pinot noir, pinot gris, and chardonnay since ’91, while Sarver is situated on a picturesque slope in the foothills and produces German varietals along with more traditional options. This region is known for having the longest ski season in the country, and offers six different ski areas to hit the slopes, making it a must-visit for those who can’t resist fresh powder. But that’s not all Mt. Hood (which -- fun fact -- is actually a snow-capped volcano) has to offer. 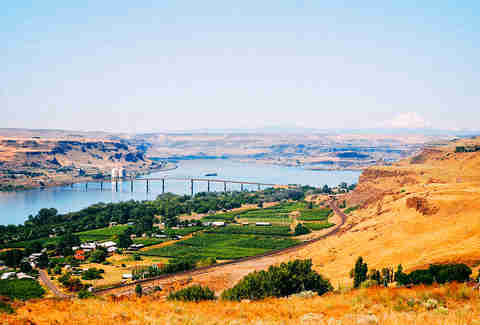 Small towns like Sandy and Hood River offer theaters and art gallery tours, as well as a number of tasty restaurants and bakeries. MUST DO: Taking a round trip ride on the Mt. Hood Railroad will give you a glimpse at the beauty of this region, without having to brave the cold. And, they offer a festive “Ride to Christmas Town” during the holiday season. MUST EAT: In Hood River, Taqueria Los Pelotas food truck serves up dollar tacos, cherry tamales, and frequently sets up shop at the nearby wineries too. MUST DRINK: The nearby Sunshine Mill Winery feels more like a brewery tap room than a traditional tasting room, thanks to the outdoor games, free movies, and $7 tastings. Between all the craft brews, bikes, tiny homes, food trucks, and birds on things, Portland has a wide reputation as a hipster mecca -- but there’s so much more to this region. A little quirky and a whole lot of creative thinkers mean that this region is known for cutting-edge chefs, art galleries, and makers. Beyond that, though, Portlanders appreciate the natural areas that surround PDX, from the Tualatin River National Wildlife Refuge to the Wildwood Trail in the city limits. MUST DO: When it comes to holiday traditions, ZooLights is an iconic Portland celebration that begins at the end of November. During the festival, the 64-acre Oregon Zoo is transformed into a holiday light extravaganza -- and you may even see a few animals out and about during the show. 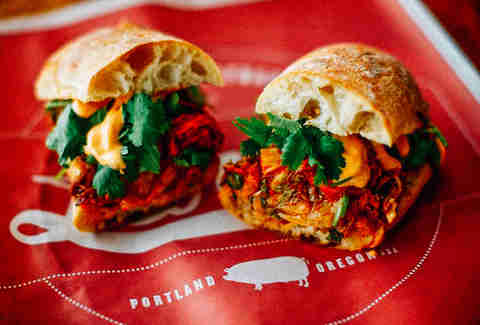 MUST EAT: If you’re going to only hit a single PDX resto (which is ill-advised, but still) it must be this classic sandwich shop. All the charcuterie at Lardo is cured in house, and it’s one of the few places in the country that serves both banh mi sandwich and mortadella -- let alone with the meats homemade. MUST DRINK: Yeah yeah, you’ve heard about Portland’s beer scene. But, this is the winter season, after all, so why not get a little festive and hit up the Portland Cider Company? Their winter spice seasonal cider is a cold-weather tradition around these parts.